A career in investment planning began for Roger in 1988, with A.G. Edwards. In May of 2012, Roger and a small group of financial advisors set out to start their journey as WaterFront Advisors. He and his team work together to provide customized strategies for a wide range of clients. Roger focuses on consulting high-net-worth clients, their families and their businesses. Other areas of distinction include charitable foundations, advisement on trust planning strategies and professional money management. Outside business experience is an additional resource to Roger's investment planning. Roger is active in his community and his church. In the past, he served as a deacon and President of the Board at Overland Park Church of Christ. He also served as Chairman of Westminster Academy pledge drive in order to build an addition to the school. In his spare time, he appreciates time spent on his farm, 4 C's at Wolf Creek. In 2014, he and several other families built a baseball field there for the Heritage Christian High School baseball team. The first pitch was thrown in April of that year. Roger is devoted to his career, his community and above all else, his family. Roger and his wife Ginny committed their lives to one another in 1988. Together, they have four children. 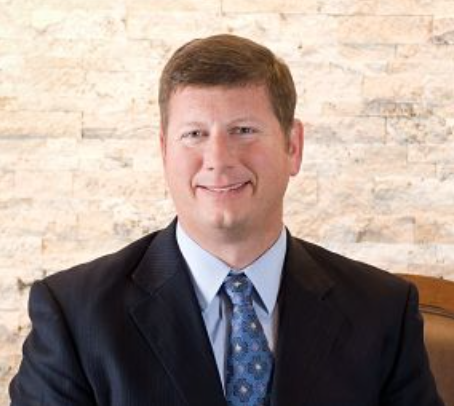 ​Trent joined WaterFront in 2018 as Vice President, Director of Business Development. Trent came to WaterFront with extensive experience helping companies in the financial services industry achieve their growth goals. His background includes consumer lending, small business growth, establishing new markets, and enterprise sales. He is a graduate of Kansas State University with a Bachelor’s degree in Marketing and International Business, and holds a Series 65 license. Trent loves to spend time with his wife, Brianna, and their 2 children. You will also find Trent serving as an Elder and 5th grade teacher at Legacy Christian Church, coaching girl’s fastpitch softball, watching his children play sports, or hunting in a field somewhere with Bullet. Mike graduated in 1998 with a Bachelor’s degree from the University of Missouri, Columbia. He became Financial Advisor for A.G. Edwards in 1999. 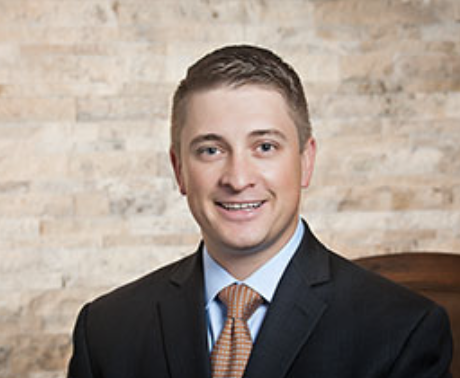 Prior to joining Waterfront, Mike worked as a Financial Consultant with Olde Discount Stockbrokers in Overland Park. 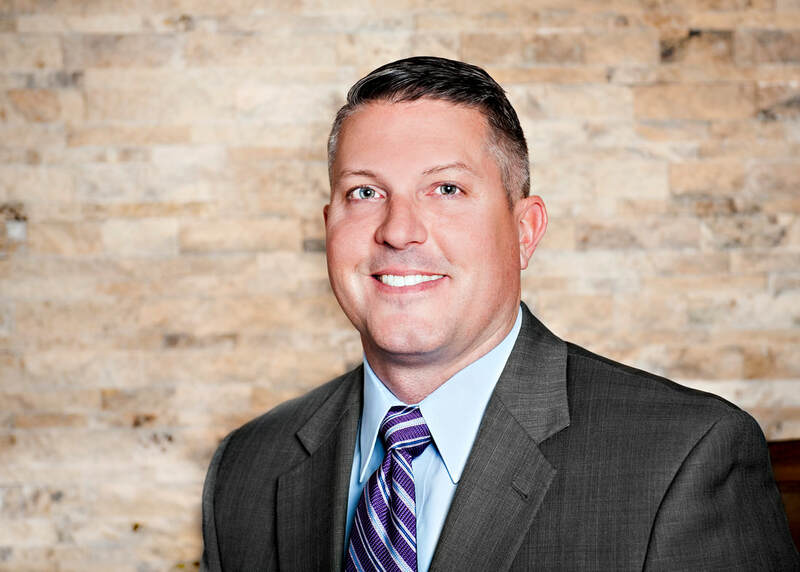 Mike attained his CERTIFIED FINANCIAL PLANNER™ certification in 2006 to work extensively with individuals in the areas of investment planning including retirement, estate planning strategies, and educational planning needs. He assists individuals in reaching their financial goals by implementing asset allocation and portfolio diversification strategies. Mike is married and has four dogs and four horses to keep him busy when not in the office. When the weather cooperates, you can also find him on his motorcycle, on the water or enjoying the country life. 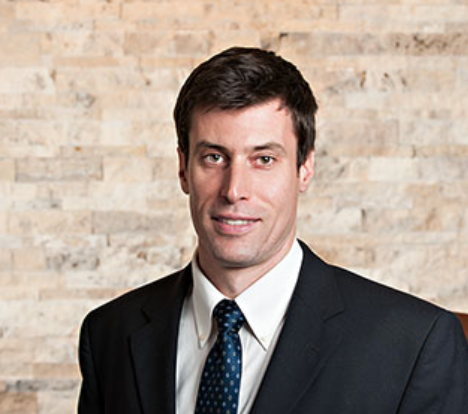 Chris Harrington joined Waterfront as our Chief Investment Officer. He previously worked as a Senior Portfolio Manager for Boyer & Corporon Wealth Management for six years, where he was responsible for security selection and asset allocation of client assets. Before that he worked as a Financial Analysis Manager for CenturyLink and was a proprietary equity trader for E-Trade. Chris graduated in 2001 from Princeton University with an economics degree and has a Masters in Accounting and an MBA from the University of Missouri—Kansas City (UMKC). He resides with his wife and five children in Overland Park. Chris won two national championships in lacrosse while at Princeton and volunteers his time to help coach local teams. ​Jacob joined WaterFront as a Financial Advisor in 2017. His career in the financial services industry began in 2009 with experience in retail banking and management. During his tenure at the bank, he worked as a personal banker for Wells Fargo, as well as a financial services consultant and branch manager for Bank of the West. 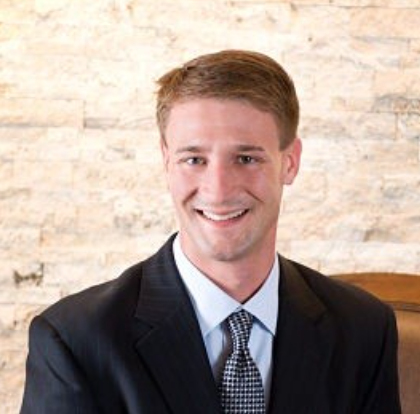 In 2015, Jacob joined Transamerica Advisors where he began his career in investment and wealth management. He enjoys working with individuals and families to create customized solutions to help achieve their goals. He holds a Series 7 and Series 66 registration. Jacob graduated in 2013 from Doane University in Lincoln, Nebraska with a Bachelor’s degree in Business with an emphasis in Management. Jacob and his wife Crystal have two children and reside in Olathe, Kansas. In their spare time they enjoy golfing, culinary arts and traveling with family and friends. Pam has been active in the investment industry for over 12 years. 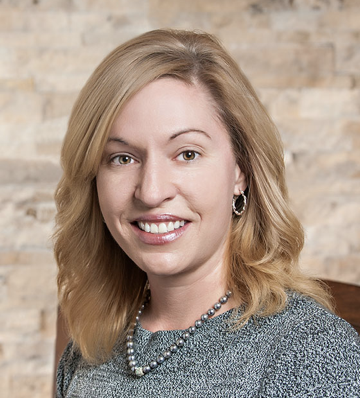 Prior to joining WaterFront in 2018 she had a 10 year career with U.S. Bancorp Investments, covering numerous local branches. During her time there she was recognized frequently as a model example of a trusted Advisor. A large segment of Pam’s practice revolves around women who are navigating life changes. Her compassion and network rank high on her client’s list of necessities. Not only does she help guide her clients through difficult circumstances, but she arms them with resources who can also surround them with knowledge, advice and grace. Pam has lived in the Kansas City Metro for over 20 years. She earned her Bachelor’s degree from The University of Kansas. She and her husband reside in Olathe, Kansas with their two children. Together they enjoy sports, outdoor activities, exploring and visiting new parks. She serves her community by volunteering as her daughter’s Girl Scout troop leader. This couples her passion for helping others with her desire for being a positive leader and role model. Pam finds it truly humbling and fulfilling to be such a trusted leader in her community. Anna is a 2006 graduate of UMKC's Henry Bloch School of Business and Public Administration. Anna started her career with Wachovia Securities in 2007 and joined WaterFront in 2010. She is a founding team member of WaterFront and specializes in compliance and operations. Anna also handles administrative duties for Roger’s clients and enjoys working closely with them. When not at the office, Anna is usually spending time with her active son, Mason. She loves all things Kansas City and enjoys listening to live music, watching football, trying new restaurants and touring local breweries and distilleries. Erin joined our team in November 2016 as a Registered Client Associate supporting Mike Shields, Financial Advisor. She assists with client service and ongoing account maintenance. 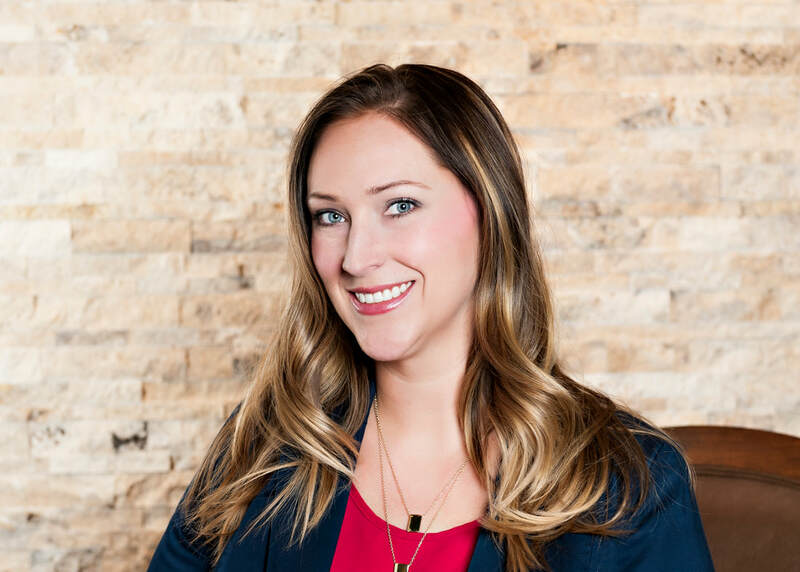 Erin has over ten years experience in the financial services industry and holds FINRA Series 7 and 66 securities registrations as well as a Financial Paraplanner Qualified Professional designation. Erin earned a Bachelor’s Degree in Marketing from Kansas State University. When not working, Erin enjoys spending time with family and friends, reading, working out and taking on home improvement projects. Leslie joined our team in February 2016. She has a B.S. degree from Creighton University and 34 years’ experience in the financial services industry, previously with American Century Investments and Edward Jones. She will be one of your first contacts for non-investment related questions. She has three adult children, Linde, Molly and Chase, who she loves spending time with. In the summer months, you can usually find her hanging pool side. Kathy joined our team in 2018. Her career in the financial services industry began in 1998 in Cleveland, Ohio where she relocated from in 2017 following her tenure at MAI Capital Management. During her career she worked with high net worth clients assisting with planning and tax services. Kathy graduated from Ursuline College earning a Bachelor’s Degree in Business Administration. In her spare time, Kathy enjoys spending time with her husband Kurt, their son Ian and their many pets. Savannah relocated from St. Louis and joined our team in November 2018 supporting Jacob Linch, Financial Advisor and Trent Grissom, Director of Business Development. She graduated with a bachelor’s degree from the University of Missouri - Columbia in 2017, where she then began her financial career with TD Ameritrade as a registered representative. Savannah holds FINRA series 7 and 63 securities registrations. Along with transacting administrative support, she can provide financial planning assistance as well as assisting with any other financial needs. In her spare time she enjoys yoga, traveling, spending time with friends, and playing golf.